Through our creative approach, we reimagine the way that railway land is used so that it can better serve the local community and accommodate spacious new homes in the most connected locations. The quality and the differentiation of our homes is key to our success from the apartment interiors to the station environments that we create, every detail is designed with the aspirations of our customers in mind. Our homes are inherently sustainable too, located on brownfield land next to train stations and designed to encourage environmentally friendly living. 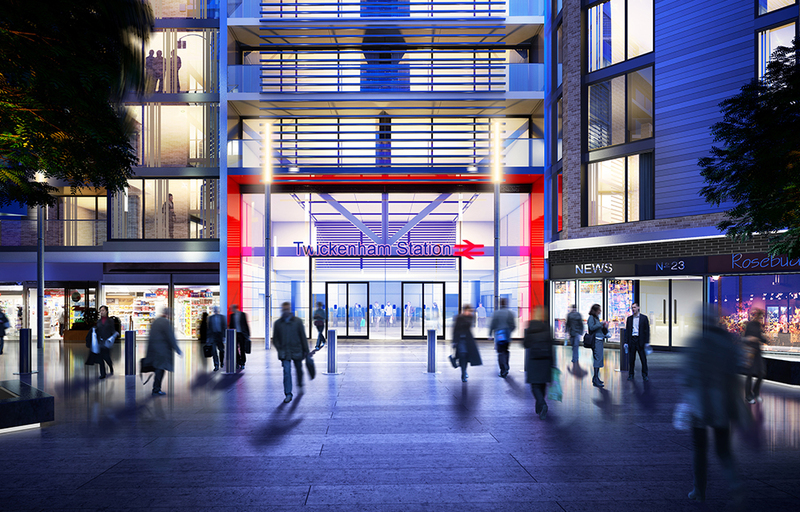 Our positive contribution goes beyond the environmental benefits, as the revenue generated from the sale of our homes helps to improve the stations we develop, £64 million of planned investment to date. And because Solum is a joint venture between Kier and Network Rail, over 50% of the profit is reinvested back into the railway for the benefit of the communities it serves. Established in July 2008, Solum is a partnership between Network Rail and Kier formed to attract private investment into the rail network and build much needed new homes close to transport hubs. Our gateway destinations become the places where people meet, to live and work, to journey to and from, to eat, drink and sleep, to wake and start again. To date we have completed schemes at Epsom, Christchurch and Haywards Heath. We are currently building at Walthamstow and Twickenham and have a further 4 schemes in the pipeline.